ABC Family/Freeform has released a ton of promotional photos for the eighth episode of Shadowhunters titled “Bad Blood,” which airs March 1. 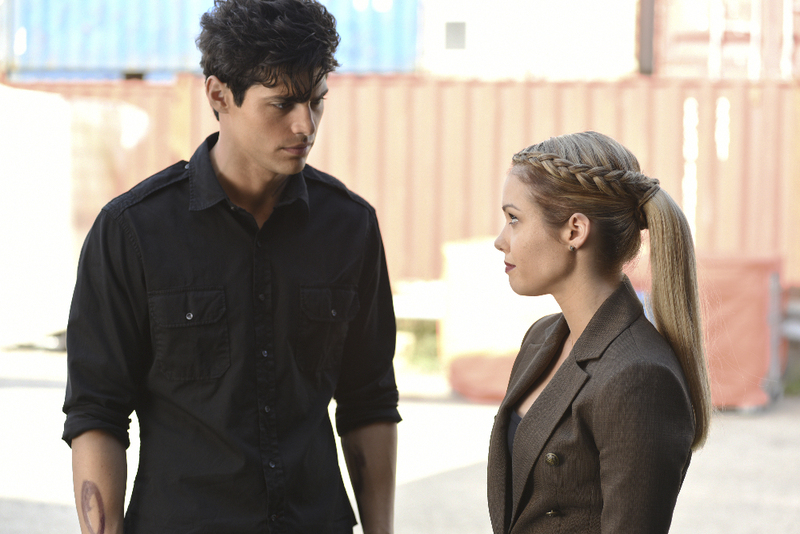 In “Bad Blood,” Alec and Clary are forced to make some hard decisions. SHADOWHUNTERS – “Bad Blood” (Freeform/John Medland) MATTHEW DADDARIO, HARRY SHUM JR.
Alec and Clary are forced to make some hard decisions in “Bad Blood,” an all-new episode of “Shadowhunters,” airing TUESDAY, MARCH 1 (9:00-10:00 p.m. EST) on Freeform, the new name for ABC Family. Izzy seems to be wearing actual clothing! Yay! Am i the only one who is glad that izzy is actually wearing clothes? like hooray! but yeah.. what’s the deal with lydia? I’m okay with changes, but she doesn’t need to be made to be bigger than she was in the book. oh wait. she wasn’t in the book….